It's Vegas and thus, it's hot! One of the best options for cooling down from the desert heat is to visit the Children's Park and Playground at the popular outdoor Town Square Shopping Mall. With a number of play areas that are either in shade, in trees, or in a fountain, your kids will have fun and stay cool. The Pop-Jet Fountain is a large splash pad that your kids run through as water spurts up randomly from the ground. Great fun for your kids, and great entertainment for you as you watch them laugh, play and get drenched! When was the last time you let your little one wander through a maze alone? 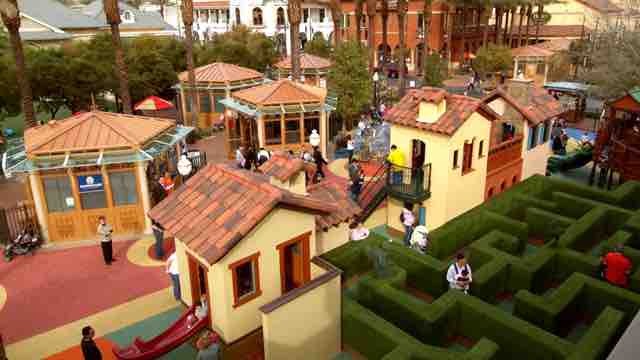 If the answer is never, it's because you haven't been introduced to the Hedge Maze at Town Square. The hedge has been cut low enough for you to keep an eye on your child, while still allowing their inner 'Indiana Jones' to come alive! Tree houses are mythical entities, and the one here is no exception. Your little monkey will enjoy climbing up to this tree house that offers a play area inside, a slide to exit, as well as a fireman's pole for bigger kids. In addition, there's a princess tower playhouse with a connecting walkway and slides. A bakery café playhouse that provides endless entertainment for toddlers. A children's stage for storytelling, performances and more. If all this has yet to entice you, know that the restrooms are designed for children, and they are close to the fun and games. What more could you ask for? After sweating up a storm at the park catching a movie AMC 18 Movie Theater at Town Square might sound inviting. With movies starting at $4.49 this just might be the best movie bargain in Vegas. 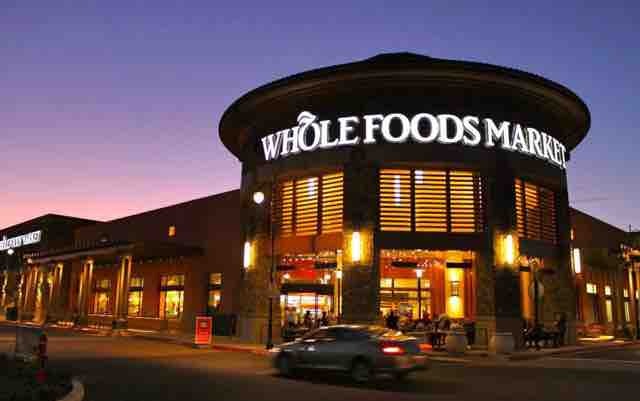 If all that playing has worked up an appetite Whole Foods Market offers prepared organic food for in-store eating. Town Square's Children's Park is free for all.